Just as soon as U.S. President Trump moved the Embassy in 2018, Israel became the focus of condemnation on various fronts. The Jews view the recognition of Jerusalem as the capital of Israel exactly 70 years since its establishment, by a major world leader, Trump, as a Messianic sign. They see a link between Trump and King Cyrus, the major world leader at the time the Jews had completed 70 years in captivity. Cyrus also recognised Jerusalem as the capital of Israel and ordered it to be rebuilt. Both leaders were in the first year of their reign when they did so. The Arab world, Western media and even Christian leaders opposed the move. This reaction is viewed as an essential step in the process of the coming of the Messiah according to prolific end-of-days author and educator Rabbi Pinchas Winston. He noted that an alliance between Catholicism and Islam was predicted as an essential step in the process of Moshiach (Messiah). The meeting February 2018 between Turkish President Recep Tayyip Erdoğan and Pope Francis may have grave implications for Jerusalem as both leaders appear to be building an agenda based upon their joint opposition to US President Donald Trump’s recognition of the city as Israel’s capital. 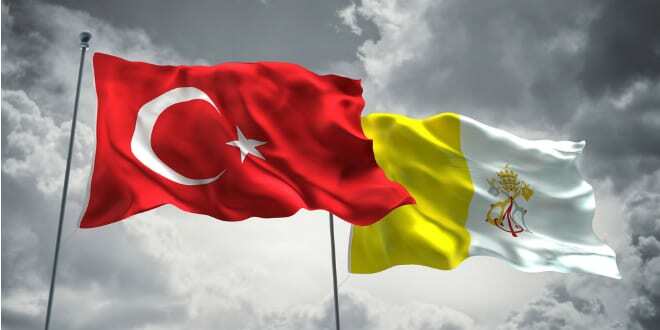 Many of the readers of Living Eternal Now will know I have suggested that Pope Francis is a good candidate for the False Prophet and now Erdogan is looking like he could be a possible candidate for the Antichrist. Turkey’s President Recep Tayyip Erdogan has established himself as a leader in the End-of-Days by calling for the Islamic world to unite against Jerusalem. Erdogan’s perplexing statement could be the cry that rallies the world of Ishmael for the prophesied third and final battle of Jerusalem preceding the Messiah. DOES JESUS BRING UNITY OR DIVISION? Torben Sondergaard speaks out about the false unity that is being promoted by Pope Francis.